This is a great site for any educator looking for maker resources to use in the classroom. 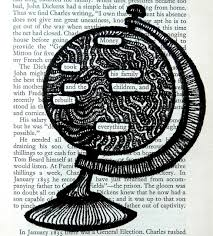 There are various links to other sites but all links are centralized around some kind of maker activity. Some of these activities will be implemented in my classroom in the near future. This is an interesting resource which I made into a 2 for 1. The first link is a TED-Talks video featuring Dale Dougherty discussing maker education. The second link is a written document by Dougherty on the same topic. He gives some great insight about what a maker entails. This article is a study on how social media is being used in education. The people involved in this study go in-depth with their thoughts on social media and education. The authors conducted lengthy interviews for volunteers with teaching and/or administration experience. The study provides support for social learning theories and offers strategies of how social media can be used to connect formal and informal learning. This article is very interesting and is not too long of a read. After developing an educational app of my own, I explored the internet for other apps that could be great for use in the standard classroom. This website gives 10 apps that all teachers should check out. 5.) Piaget’s Constructivism, Papert’s Constructionism: What’s the difference? After watching and reading resources on Constructionism for class, I realized that there is an educational concept known as Constructivism. I found an article that highlights both concepts in case educators might get confused like I did. From what I understand this is what the main difference between the two is. Constructivism is more cognitive and Constructionism is more physical. I had a lot of fun brainstorming and creating this app! The first thing I did was reflect on my experience in K-12 and college and think about what would have really made these experiences better for me. I came up with this app called Connected Classroom. 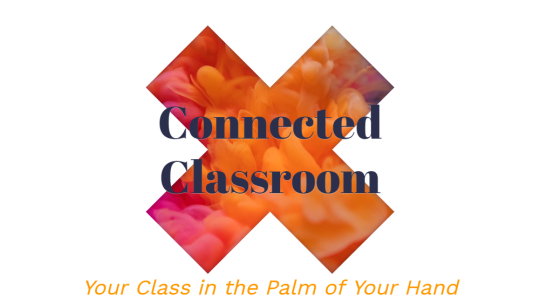 Connected Classroom is designed as a sort of social media platform for students who are in the same class. You can join classes based on location (i.e. on the first day/week of class everyone would join via GPS) or by searching for the class code that the teacher/professor shares with the group. This app increases equity in connected learning because it provides students more opportunities to connect, even if they have challenges or anxieties about speaking up or asking questions in class. Additionally, it fosters a feeling of community in the classroom. 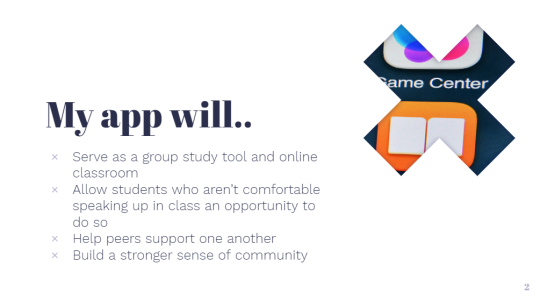 Students can use the app for whatever they need whether its a simple question about an assignment or setting up a study group with individuals in the class. This app is meant to open doors and create opportunities for collaboration where it would not have existed before. The phone app idea I came up with has to do with building interest in science through everyday encounters that students experience. Here is how it works. Students would download the “Everything is Science App” which I designed for my science class. Anytime students come across something that is interesting to them, anything at all, they document it in their “Everything is Science” app. How does that work?, Or Why does this happen?, How can this be?, What is that?, etc. The app works as a portfolio that will organize any interesting things students come across. Collections could be something as simple as a picture they found on the internet, or a picture they personally took on their phone that they think is cool. Maybe a student saw something on their walk home and didn’t understand the science behind it, that student can take a picture and upload it to their portfolio on the app to save for a class discussion. Students could also upload cool videos they come across or just something appropriate that they are super interested in. Current Events would be another great resource to collect. For the higher achieving students, they may even submit magazine or scholarly articles into their portfolio, but this app is designed to be easy for everyone. Students would eventually build a portfolio of all thing they find interesting with a secret focus on the science that goes with it. The point of this is to have students think about science with everything they experience daily because EVERYTHING IS SCIENCE! As their science teacher, I would take days out of the curriculum to focus on their portfolios on the app. I would project the app feed for the whole class to see so that the class can discuss what everyone has added. We can have discussions and investigations on the picture/video/events of interests for as long as we like. Besides the teacher administrator, students from each class will be the only ones able to access other student’s videos and pictures. Science can be tied into most things and the apps main goal is for students to gain a scientific understanding on things that interest them. There is nothing that can not be discussed unless it is something inappropriate for school. This app can relate to connected learning by literally connecting scientific concepts to things students find interesting already. For science to really work, there must be an interest or a questions that drives a person to investigate further. When students are given the task to build a portfolio out of student interests, it immediately can get the students to think about science with anything they experience. My goal, which I also believe is the main idea in connected learning, is for students to discover curiosity with the world around them, ask questions, build interests, and relate to each other based on these interests to learn. Perhaps some kids develop enough interest in the science behind their hobbies that they would pursue a career in it. 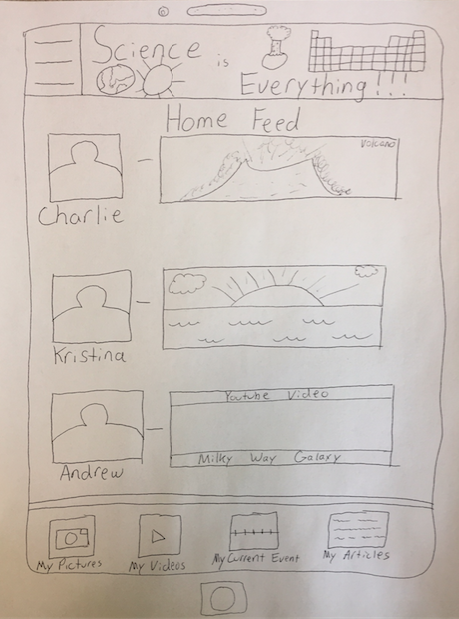 I honestly do not have an artistic bone in my body but here is a rough sketch of what the home page of the app would look like. It took me some time to get the ball rolling on this maker assignment. I brainstormed for a long time which actually helped me come up with a few other app ideas which did not tie in as well with connected learning. I got stuck focusing on forming a bunch of good ideas that haven’t been thought of yet (or so I think) and build a phone app out of it while focusing on education and connected learning aspects. Once I shifted my focus to building interest and instilling equity, I was able to construct an appropriate idea and narrow it down. I learned that it’s fun, yet very difficult, to create an app for a specific use in education. On top of that, I wanted to make sure my app had something to do with science which is what I currently teach. I learned that my brainstorming allowed me to develop a stronger perspective on what connected learning is. I was able to narrow down many of my ideas to just a few. Once I finally chose an app idea, I was able to build from that rather easily by keeping my focus on one specific app. At one point I was juggling too many ideas at once which caused me some frustration. The focus on equity came in when I wanted to make sure that my app could be made easily available and extremely simple to use for ALL students. I tried to make my idea as student friendly as possible. Sometimes I feel that equity is not present when talking about apps on a phone because some kids might not have a phone. 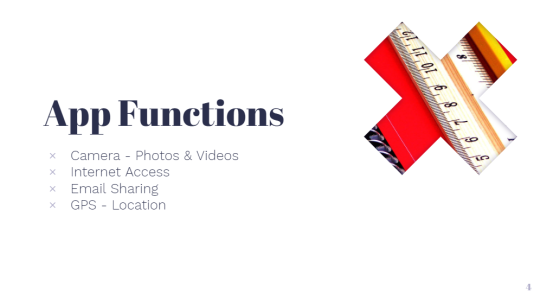 My idea of making certain class days all about the app was one way where I could allow kids with no access to cell-phones to share and stay connected since we would focus on a large array of interests and discuss them in class. Connected learning is implied in my app by centering science around student interest. I feel every week when I reflect on connected learning I always end up with the same main goal, to instill interest. Having kids focus on the science behind their interests is a great first step to capturing their attention. Once students participate in this app, the implication is that the students will look out for science tie-ins with all their interests as they go about their day. Discussing student interest’s in class is a way to have everybody relate their interests to others with awesome discussions to follow. When students build interest, questioning starts, which can lead to quality learning. Curiosity and interest is what science is all about so implementing connected learning strategies to build interest and curiosity fits very well in the science classroom. If I had the magical ability to create products, apps, and services that millions of people found useful, I would probably be at a pretty different place in life. This week, I tried my hand at being an innovator by using the Mobile Design 101 toolkit from Youth Radio Media in Oakland, CA. Check out my video to see how it turned out. Video explaining app development idea. I created an app that I thought would be useful to me as a person who has recently found himself living 3,000 miles from home. I think this idea would also be useful to dancers who are traveling and want to take classes in different places. I believe the app would promote #connectedlearning because it gives more access to a type of learning that is usually not happening in schools. Since I am also not an expert YouTuber, I included a picture of the design below so you can see it without me moving it around! Image of the Mobile Design 101 version of my app. This center has hands-on exhibits, programs, and partnership efforts related to STEM for kids, families, and educators. For example, they have a family maker program and inventor’s lab program. They support the community through programs like WISE (Women in Science Network), which is an initiative that supports current female professionals in the STEM fields and encourages female students to pursue STEM careers. This place offers STEAM kids programs starting in PreK. Their curriculum includes Robotics (LEGO Mindstorms EV3, VEX), 3D Printing and Modeling, Animation (SCRATCH and Blender), Lasers and Optics in Physics, Maths beyond Schools, Website Design, Java and C++ Programming, Practical Electronics, Fun with Arduino and more. They have a laser engraver on site. The Northhampton, Warminster, and Wrightstown libraries in Bucks County have Maker Mondays, STEAM clubs, and a coding program for kids that are currently being held. The libraries provide many free programs listed on their website for community members and some include a STEAM related theme. You can attend STEAM programs for both students and educators at this location available on their website. They are also currently working on making a mobile fab lab that can travel to schools. This place focuses mostly on woodmaking, but does offer some other machines as well. They have a 40-Watt Full Spectrum Laster Muse and a Shapeoko XXL CNC Machine. You can take classes here without any prior experience necessary. Everyday when students enter my classroom there are a few obstacles they must first overcome in order to get focused. These obstacles are the byproducts of transitioning- moving from class to class. Transitioning presents many problems and often distracts students during some of the most vital parts of the day. Students enjoy spending time in the stairwells and bathrooms, instead of getting to class and beginning their work. Well, the app that I have devised will help mitigate these distractions by allowing students to begin their work as soon as the enter the room. Cellphones are undoubtedly the greatest obstacle distracting students in our school. Every day I encounter students that are scrolling on their phones instead of improving upon their notes. My “make” for the week would help alleviate this issue and turn this obstacle into an academic resource. 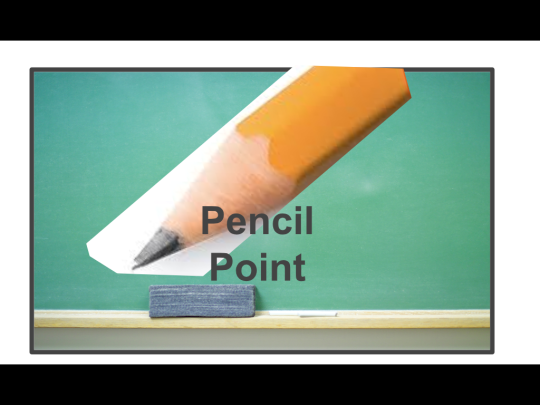 The app that I am proposing is called PencilPoint. This app would be linked to our google classroom and it would be the students first stop upon entering the classroom. PencilPoint is where students would complete their Pre-Class assignment (PCA) each day. Using this app, their phones would be an extension of the classroom. Responses on PencilPoint could be made in a variety of methods and would ultimately tap into the strengths of each student. This app would certainly enhance the learning environment and lend more credence to the philosophy of connected learning. I stumbled on the idea behind PencilPoint by observing my students each day and brainstorming how I can put their talents as digital natives to good use. Every one of my students would be able to use PencilPoint since each of them has a smartphone. Also, this idea promotes equity in learning since each student can submit responses in a variety of formats. These PCA responses would not be very long and don’t require vast amounts of research. This app would simply limit the distractions resulting from transitioning and allow students to #beonpoint as soon as they enter the classroom. Let’s start this week off first by making. And let’s be inspired by young people and their creations — check out YR Media (formerly Youth Radio) from Oakland California. As part of their Interactive track, YR Media provides this DIY Toolkit: How to Come Up with your Own Mobile App. The example here is about making public art more visible. Then let’s try this fun experiment — What if we could use our devices and design a mobile App that allowed you to create more of these kinds of connections for the youth we work with … What would it do? … How is it awesome?! With our shared ED677 goal too, I challenge you to really think about how your app would be used, by whom, and for what. How can it support the creation of more equitable connected learning opportunities for all learners? Do some imagining and playing this week with this idea and share on your blog — you can be as practical or fantastical as you like. 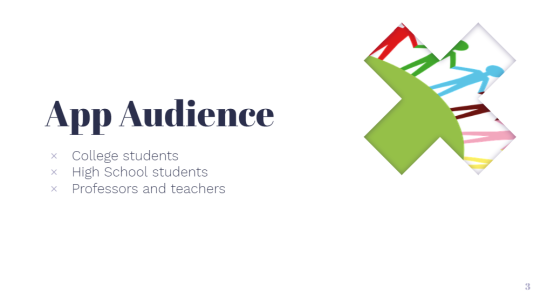 Share your App ideas and tell us about it while also reflecting on the implications for equity in connected learning and teaching. To challenge you further, don’t just tell us about it but trying sketching it out for us; you can do this using a presentation tool like powerpoint, something like Scratch, or just plain paper and pen and stickies that you photo or videotape. Think of what you are making as a prototype for your app and use that prototype to get feedback from others in the process. After making, take it another step and add some reflection about your making and making process. How did you go about it? What did you learn? Where did you get stuck? How did you solve problems? Where did a focus on equity fit into the mix? What are the implications for learning and being connected? Let’s start by hearing from the youth themselves at YR Media. Pick out something here to focus on. What are they saying? How are they saying it? What are they making in order to say it? Next let’s unpack this idea of the “Maker Movement.” What do you know about it already? If you aren’t sure, what are your impressions? You can find a good overview of this movement in this overview with Erica Halverson and Kimberly Sheridan: The Maker Movement in Education. Also read Moving Beyond the 4 Myths of Maker Education by Jakki Spicer of Maker Ed from 2018. Next I encourage you to watch Leah Buechley, mentioned in the Halverson and Sheridan article. Here she is considering all learners and in doing so brings a more critical eye to the popularized and branded “Maker” movement and talks through its key promises and equity challenges: Thinking about Making. What stands out to you here as you think about equity in your own context? Eyeo 2014 – Leah Buechley from Eyeo Festival on Vimeo. What other such stories can you find? Find 5/6/7 things — from each others blogs, the readings, and other work you are doing — that you think would support you or others in your life to make a bit more. Update as of February 12th: Due to family obligations and sickness, tonight’s gathering with special guest Kathy Walsh will be rescheduled. Thank you for understanding. The topic for this past week’s work has been all about “play” and what playing can teach us. We often struggle as a society to see the power of play and how it can make us better learners (and human beings) no matter your age. I have collected seven things that I have found inspiring, interesting, or a great resource to have! 1. I’m going to start off with something a bit more unconventional and am going to start with a TV show that inspired me. 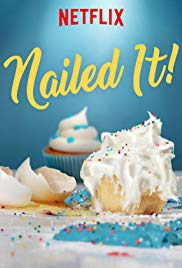 After I saw our Monday post and the cupcake “nailed it” pictures, I googled for more of those “nailed it” photos and found a Netflix show with the same title Nailed It. I’ve watched a bunch of episodes over the weekend and found it inspiring. The show’s contestants embody a lot of the positive teachings in the readings when it comes to trying something new. Most of the contestants fail pretty miserably, but they learn the importance of time management, to accept less than perfection, and to be able to laugh while learning. i suggest you check it out! 2. The next one is a cool site (and instagram) that focuses on the learning happening behind play and tons of ideas for younger children. I suggest following their instagram and checking out their website! 4. My next find is to highlight my favorite reading from this week “How Playing With Math Helps Teachers Better Empathize With Students.” The article does a really great and insightful job of breaking down the barriers between teacher and student. So many times a lot of the disconnect in learning is either through frustration, misconceptions, or a fear to fail. The article humanized math and taught all of us to embrace (even enjoy) the struggle we feel at first when we don’t understand something. As a math lover, it was really wonderful to read about and gave me some new strategies to take into the classroom. 5. I entered a really fun bridge-building competition through my high school physics class because in an earlier lab our teacher let us “play” with building materials. It was a “free” lab period and so our only assignment was to build something with a variety of materials he gave us (legos, balsa wood, connexts, etc.) I ended up loving it so much that when he introduced the bridge building contest in our region, I went for it! We didn’t get very far, but I loved it and my physics class a more after the competition. I included a video from a similar competition in Colorado. 6. I was really looking for a resource about low-tech or no tech games and their effects on learning beyond the early childhood stage. 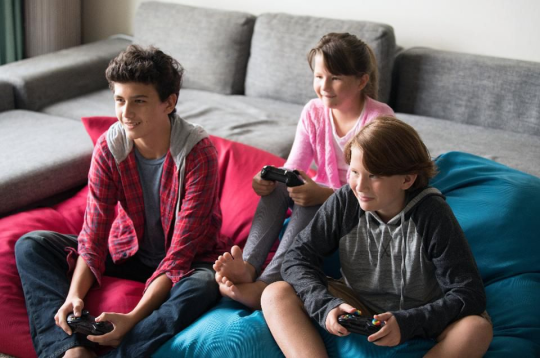 I came across this Business Insider article that focuses a lot more on board games and low-tech options for middle school aged children to adults. It’s a quick read, but gives a lot of simple and fun ideas. 7. 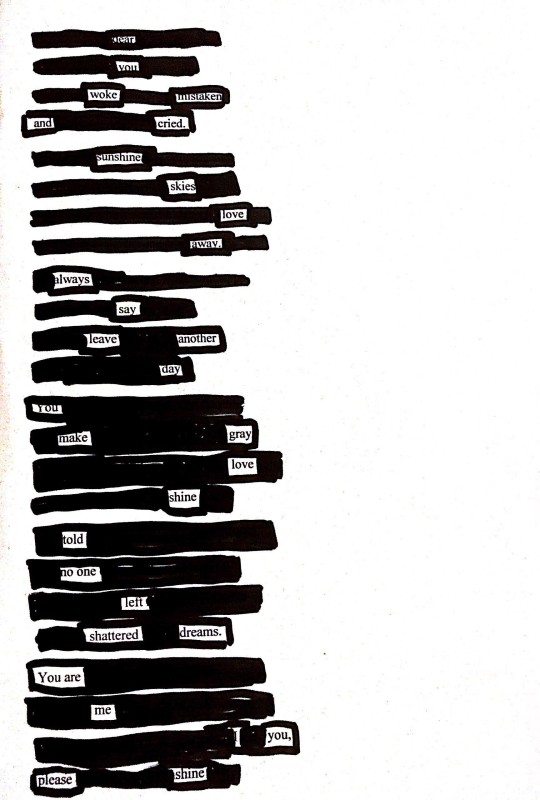 My last find for this week was around my creation of blackout poetry, I found this on my pinterest and it really inspired me. These are amazing and helped me kick start my experience with it, since I’ve never done it before. They are absolutely beautiful and I really encourage you to take a look! #1 - Scratch - This was the resource that I used to create my animation for our assignment on playing this week. Scratch is a website that allows users to create their own animations, stories, and games. You can use the imagery provided to you to create an animation or you can draw your own. Scratch also provides tutorials on how to get started and how to use their system of coding. This could be a great resource for students to familiarize themselves with a method of coding, create a visual story, and above all - PLAY! #2 - Gamification in Art - This art teacher, Mrs. Meyers, has turned an art challenge into a game for her students where they must post their progress, keep track of their points and badges, and complete various art challenges. On this site she has posted her rubrics, points, and level systems for her students. Her PowerPoint presentation goes into more detail about the challenges and how student are to keep track of their points and progress in the game. Very neat way of adding play to art! #3 - The Green Glass Door - A resource from one of my favorite sites, the Art of Education. This is a game that they state can be used in the art room but honestly this seems like a fun game that could be used in almost any classroom as a quick brainteaser to warm up the class or to fill in some time. #4 - Playful Approach to Learning - This is an article that I found that has a lot of the same key ideas and concepts as to how play can be integral part of education that were presented in some of readings and videos from our class blog. It also talks about the EduScapes project at Manchester Metropolitan University which are essentially escape rooms for students. 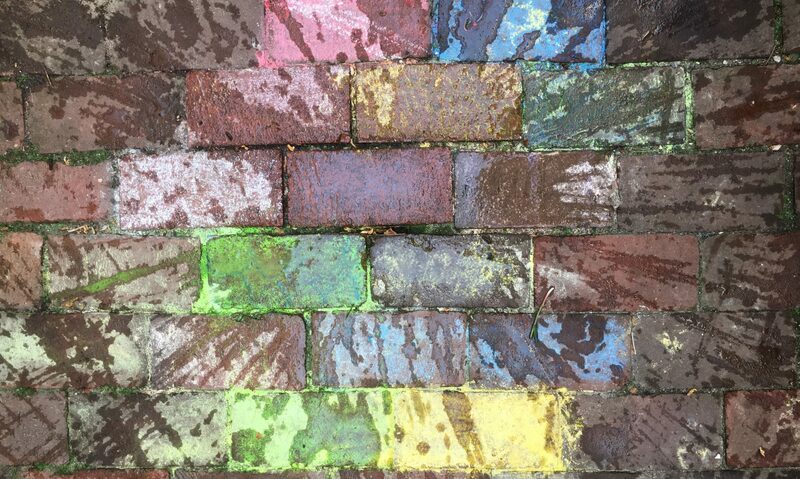 #5 - Art Materials You Can Make - This page lists different resources on how to make a variety of art materials, like stamps and chalk, on your own. Even though the article says “at home” some surely can be turned into a way to play in school. Perhaps turned into an art lab or a science experiment? #6 - Why Play is Essential - An article that takes a look at how lack of play for students may actually be hindering their social, intellectual, emotional and physical growth. It even ponders if lack of play can be leading to more violence among students. #7 - Play in Education - An article where a variety of educators with a variety of backgrounds and contents of concentration discuss the ways in which they try to incorporate play into their curriculum, the importance they feel it has, and the benefits that it can give their students.